Networking event valet parking is easy to book. All you have to do is contact us via phone or free, instant quote form which is located on this page. As soon as we're contacted, our back office will cater all the networking event parking needs We’ve done several networking event valet jobs, don't worry if you're still questioning us, check us out online we have tons of network event valet reviews. A lot of our customers have been local businesses as well as big corporations sponsoring local events. We’ve had years of experience with executive & corporate valet service. 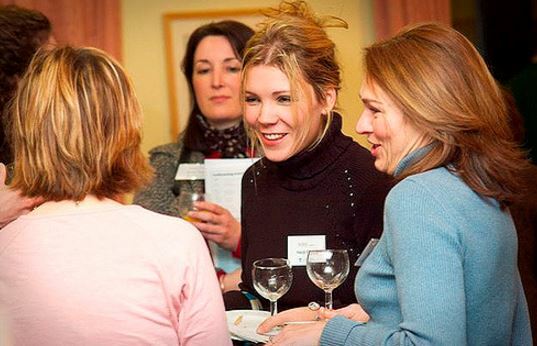 If you're planning a networking venue in the future give us a call today to see what we can do for you. Many of our professionals have done several local network events. The ease of network event valet parking is quite easy. We present our valet attendants as professional as possible. Network valet parking management is no different than a private party event. All that needs to be done for the network event parking job is professional customer service as well strategic parking management. Once your car is passed over to us your parking stress is gone. Our professional valet workers back in the car to a close by spot, so that when you're ready to leave we simply pull it out for you. Network valet companies will often times over charge on the small things but were known for professionalism and reliability when it comes to network event valet parking. Give us a call today if you or someone you know needs professional network event valet parking service.